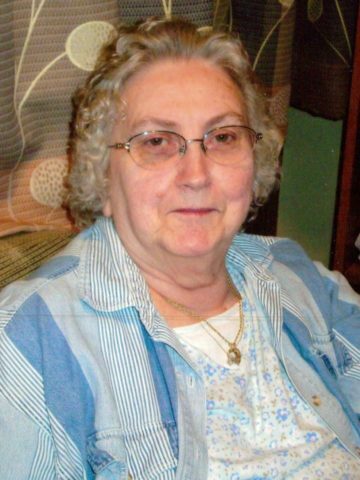 Mrs. Nancy J. Hulsizer, 78, of Greenbrier, passed away January 29 surrounded by her loving family. She was born on June 2, 1938 to the late Leonard and Nokie Christmas. She is also preceded in death by one daughter, Dawn C. Hulsizer; and one brother. She is survived by her loving husband of 55 years, Mr. Harold Hulsizer; three children, Tina Brown, Marty Hulsizer, and David Hulsizer (Megan Duncan); eight grandchildren, Kristin French (Nick), Kevin N. Brown (Kaylynn), Kyle N. Brown (Belle Gossett), Sarah L. Wood (Jared), Cody L. Hulsizer, Brennan H. Hulsizer, Bristol S. Hulsizer, and Lakelynn N. Hulsizer; two great-grandchildren, Charlie N. Brown and Emerson Grey Wood.